Robust premium dual purpose eye and wound wash station. 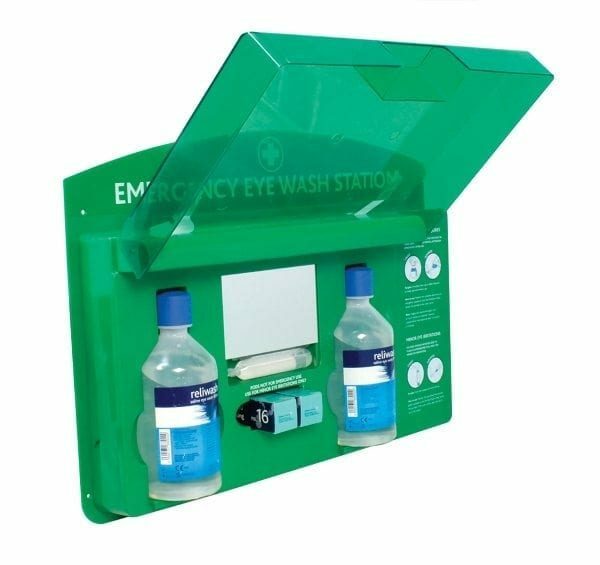 Holds 2 x 500mL sterile saline solution eye wash bottles, eye wash pods and eye pad dressings. Translucent hardcover to protect from dust includes mirror and instructions. Hard wearing ABS plastic design.